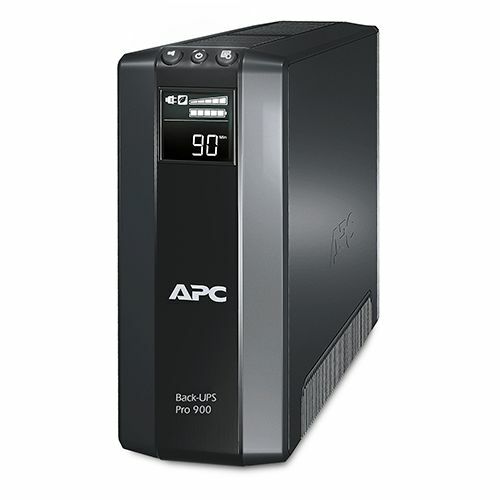 Battery and surge protected outlets Back up and protect your hardware and data during power outages, surges and spikes. Dataline surge protection Provides protection of connected equipment from power surges on the data lines. Surge only outlets Protect secondary electronics from surges and spikes without reducing battery power used to run primary electronics during an outage. Energy Management Function Energy saving feature automatically power off peripherals when the a master device, usually a PC, hibernates or is shut down. Power to peripherals is immediately restored when the master device wakes up or is switched on. Boost and Trim Automatic Voltage Regulation (AVR) Gives higher application availability by correcting low and high voltage conditions without using the battery (not available on all models).